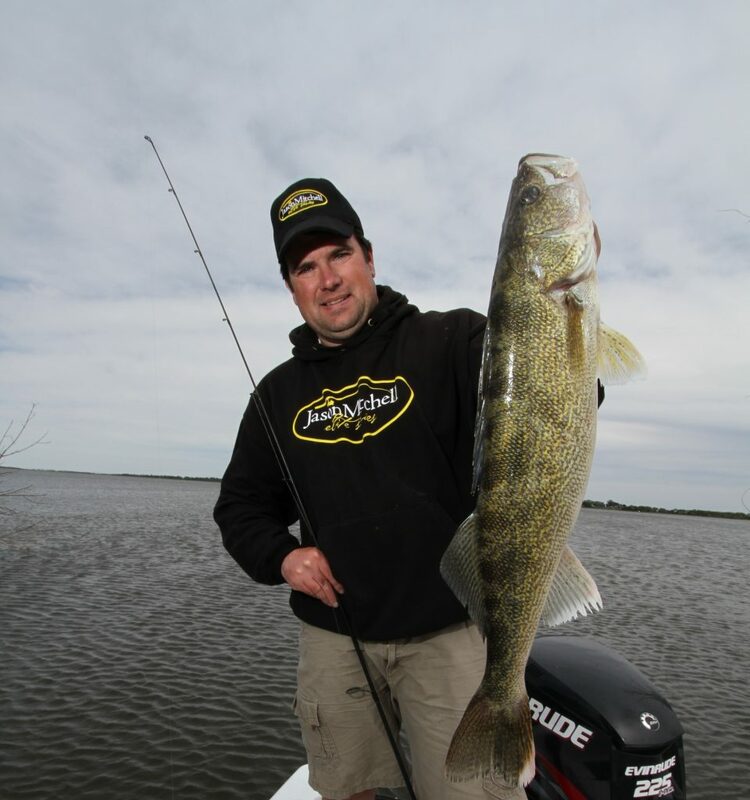 No secret that walleyes use weeds an awful lot and despite the fact that walleyes are known to use weeds so often, many walleye anglers still avoid fishing weeds. Take a quick look around many good walleye fisheries from the opener on through summer and the armada of boats are typically dangling lines over classic structure. Even on lakes with slot limits where the same fish can be caught several times over the course of a summer, the fish on these classic locations get pressured. Can fish on these classic locations eat a day after getting caught and bend a rod? Absolutely but fish that are getting angling pressure become more difficult to catch. What I love about weed fish is that these fish are typically fresh because of the lack of pressure. Fresh fish make you look better. On some fisheries, the weeds are a major trump card where most of the fish will be holding in weeds. On other fisheries, most of the fish will be using classic structure and thus the reason why there is the armada of boats over every hump, reef and point but even on these lakes, there is usually a secondary population of walleyes that are using weeds and while these locations are holding fewer fish, these patterns can be very attractive because they just don’t get fished as much. Another observation is that many anglers who do target walleyes on weeds focus on the outside edge. The outside edge is always worth checking and is a high percentage location but another high percentage location that usually doesn’t get touched is the inside edge. With coontail and cabbage in particular, there is often a relatively clean inside edge that might be anywhere from four to eight feet of water. Inside of the weed bed, the bottom can often be sand, gravel or just low lying junk weed but the number of fish that can accumulate on the inside edges of weeds can be surprising. Anglers often struggle fishing the inside edge because they try to fish these spots from deep to shallow. When you hit these locations from this particular angle, you are going to have parts of the retrieve in the weeds fouled up and if the weeds reach close to the surface, you have to fight the fish in the weeds where more fish get off and you disturb more of the environment. To catch more fish on these inside edges, slide the boat up in shallow enough where you can cast either parallel with the inside edge or work the presentation from deep to shallow where the cast hits the edge and works back through the cleaner gap. For some reason, walleye anglers have a tough time sliding the boat up real shallow and working out away from the boat because they are always worried about spooking fish. Once you learn the spot really well, you can slide the boat up shallow and not have to worry about going over fish. Even if you do, it is not the end of the world because as fish roll off the boat, guess where they tend to pile up? That inside edge in front of your boat. I even believe that moving these fish a little from the presence of the boat can actually even make them easier to catch at times. Here is why… there are two kinds of walleyes. The walleye laying near the bottom with fins tight to the body and the walleye that is up and cruising with fins up. The former fish laying on the bottom is about the toughest fish to catch while the later fish that is up and alert is much easier. I dare say that most of the fish you have caught in your life are the alert, cruising fish. Even on really tough bites where the fish are negative, most of the fish you are catching are still the cruisers but when things get tough, there are just fewer cruisers. Sometimes in shallow water where there is lots of good weeds especially come mid-summer, the boat bumping the fish a short distance can actually help you catch those fish because as they move away from the boat, they are alert. Early in the season, I am not as effective with bumping the fish and take great pains to back off the spot but for some reason come late spring on into summer, a little presence is often good. Might be because as the weeds reach the surface, the weeds form a nice secure barrier that the fish slide into and they don’t scatter as much. Might be a water temperature deal where the water takes on more color and the fish don’t spook as much as they do earlier in the season when the water clarity can typically be better. Don’t know exactly why, just have a few ideas but the point is this… when you stop trying to fish a weed bed from the deep outside edge and actually slide up into the spots with some strategy, you learn so much more about the spot. You can see the intricacies of the spot and learn it like the back of your hand and you are going to catch a lot more fish. Great spots might be little troughs or depressions in the bottom on the inside edge. Could be some small patches of gravel and rock and the harder bottom keeps weeds from growing and forms a nice sharp edge that holds fish. Under closer examination on many weed beds, you might find open holes and lanes where the weeds resemble a marbled cake, lots of lush weeds interspersed with clean openings that hold fish. High sun with no wind is often the best situation for really getting dialed into a location where you can physically see some of these locations. Hit some waypoints so you have this Intel for the day that is cloudy or overcast. These shallow weed patterns often fish best during low light. Early morning and evening are obvious prime times but another prime time is any gentle breeze or even recreational boat activity that adds enough chop to move the very tops of the weeds. Reason being especially with cabbage is that a thin film or residue often collects on the leaves and any movement will slightly cloud the water as this debris falls off the leaves. If I were to pick a favorite situation on many lakes, my ideal day would be overcast, light winds and maybe even add some rain. That is a perfect shallow weed walleye day but ironically, these are the toughest conditions to learn a new spot as everything is so much harder to see. Here is something else I have noticed a lot… inside edges of weed beds on north shores often get really good during the day when there is sun. Reason being is that there is a nice deep shadow created by the weeds when the sun gets high. The ultimate tool for hitting walleyes in these inside edges and lanes in my opinion are jigs. In northern Minnesota, you better have some shiners in the boat. 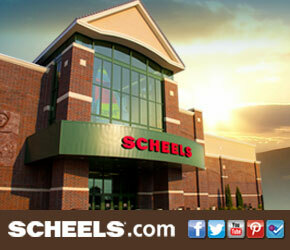 In the Dakotas, either half a crawler or a leech is often the ticket. Regarding jigging, I like to switch back and forth from a few basic setups. Snap jigging a 1/8 ounce stand up Fireball jig with six pound monofilament line is a proven technique that just works. We revamped the Jason Mitchell Elite Series Walleye Rod line up this season and designed the perfect jig rod for this style of fishing, the JMS641MLS is a six foot four inch spinning rod that features a high performance IM8 Graphite Blank and Fuji Guide Train with a suggested retail price of $59.99. The mono seems to let the jig hang and glide in the water after each snap and that hang time is ugly for triggering fish especially when you have a live hooked shiner struggling against the jig. The other way to fish jigs that is really effective for me is to simply swim jigs slowly where they never really touch bottom. With both snapping and swimming, you can also do really well supplementing live bait for soft plastics like the Impulse paddle minnow because soft plastics are so durable in weeds. With soft plastics, I like to use Bionic ten pound braid. There are so many variations of these basic presentations regarding mixing in twitches, the height of the snap, etc. but that is a moving target that can change each day. Keep in mind as well that as summer progresses and the fish bury in the bottoms of the open holes within large weed beds, just short pitching jigs into the holes and letting the jig coast to the bottom will catch a lot of fish. This is slow monotonous fishing but the results can be impressive. No hole will hold several fish but they all add up and this pattern is easiest to fish with calm sunny conditions where you can physically see the lay out of the weed bed and can make short accurate pitches close to the boat.